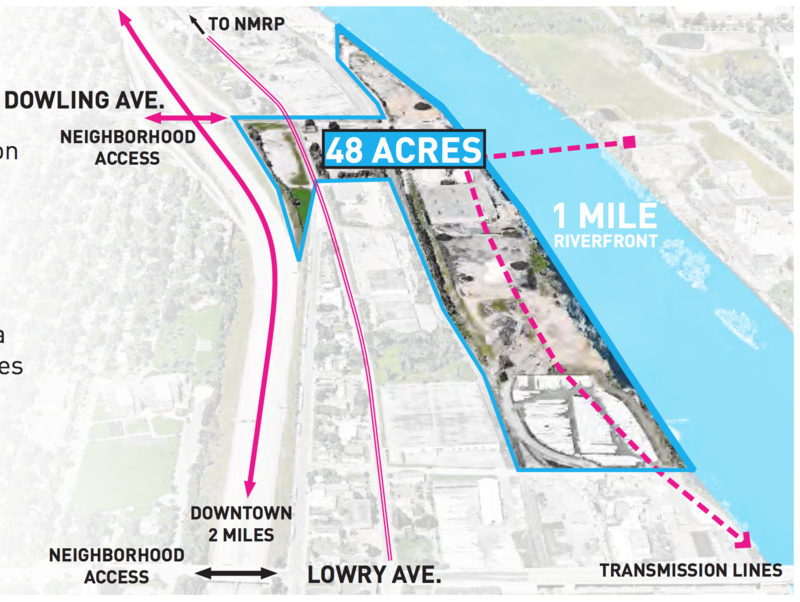 After more than two and a half years of community meetings and engagement, draft plans for the redevelopment of a mile-long riverfront site in North Minneapolis were revealed August 15. The draft calls for a dramatic overhaul of the Upper Harbor Terminal site, aiming to turn the long-closed port into both a regional attraction and a beneficial part of the North Minneapolis community. Created by the city of Minneapolis, Minneapolis Park and Recreation Board and the master development team United Properties, Thor Construction and First Avenue, the plan calls for a three-phase approach. In phase one, a riverfront destination will be created just south of Dowling Avenue North. This would include the Community Performing Arts Center, two new parks, a public plaza on Dowling Avenue at the river and improvements to the Dowling Bridge over Interstate-94. FMR is still developing comments on the draft plan but we see several welcome components. We're pleased to see the Dowling bridge improvements included – something FMR has long pushed for to improve pedestrian and bicycle access over I-94 between the heart of the Northside and the Mississippi River. We're also excited about the performing arts center, which will provide a new and different way for people from throughout the region to experience the riverfront while providing a new community space as well. Work on phase one could begin as soon as 2020. The second phase would aim to build community with opportunities for private development, residential space and commercial space along the river parkland and toward I-94. The third phase, which isn't expected to occur for several years, calls for the land furthest from Dowling to be left open in order to accommodate future market conditions and community ideas. The Community Performing Arts Center portion of the redevelopment is being led by First Avenue. They're proposing a flexible, 2-acre space just south of Dowling Avenue North that can accommodate 10,000 people outdoors and several hundred indoors. The outdoor concert area will be publicly available as green space 250 days a year. For 50 days per year, it will be for ticketed events, with portions of ticket sales going towards community-based events or programming in the space the remaining 65 days per year. One of the iconic storage silos on the site (towards the middle in the rendering or drawing above) will likely be used for private box seating in the arts center. The dome-shaped silos will be stabilized but are not slated for reuse at this time. Beyond the performing arts center, phase one is proposed to include a hotel, mixed-use residential (20% affordable), office/commercial space, a community innovation hub, a riverfront promenade and Relics Park (2.3 acres). There will also be a parkway behind the riverfront park, hotel and arts center. Altogether, the plans call for 15.5 acres of public park areas out of the total 48-acre site. Aerial image of the Upper Harbor Terminal site from the August 15, 2018 proposal document. We encourage everyone to learn more and add your voice to the development plans by attending one of the community meetings August 28 or September 8. 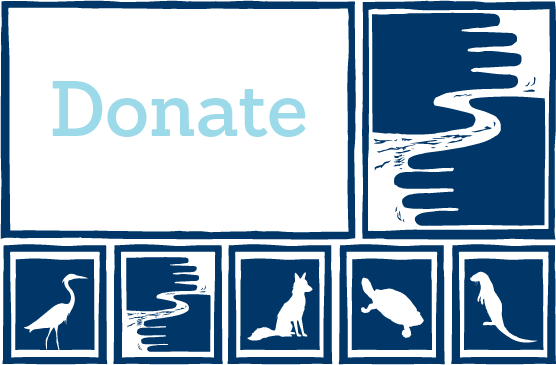 You can also sign up to be an FMR River Guardian to be in touch about local river corridor development and land-use issues. To learn more, contact Alicia at auzarek@fmr.org or 651.222.2193 x29.